It has been a while and I have not yet gotten around to the historical project I started, because I had too much freelance work and then school started up again. But I have also spent a lot of time really delving into Dressing Your Truth. I have a long history with this system. It may even be the first system I came across when I began this whole process. For a long time, I kind of dismissed it as a style system that was lacking, or more of a “starter system” compared to others. But I think part of that was that I had placed myself incorrectly, so of course the style component didn’t work for me, and since I first discovered it, the team behind it has made real headway in developing new ways to use the information. To quickly summarize my journey, when I discovered the system, I decided I was a 3/4, since I couldn’t see T4 perfection in my features, and I related a lot to both descriptions. I never liked the T3 clothes on me–too substantial, too heavy, not enough structure. I generally stuck to the colors, because they aligned well with where I had placed myself in Sci\ART, but I never wore the clothes in any real way. Over the course of the years I believed I was a 3/4, I never did a 30-day challenge, for instance. Then out of the blue, I saw the T4 in my face. I assumed I was a 4/1, because there is a video about how 4/1s and 1/4s can mistake themselves for T3, and somehow that more convoluted explanation made more sense to me than the simple idea of having simply reversed my dominant and secondary. But after going back recently and watching videos on their website about the yin/yang balance and energy levels of different types, and how to make your T4 style true to you by incorporating your secondary–I realized that an S1 didn’t make sense for me at all. My style instincts were clearly pointing in the direction of an S3, and so was my movement. Since realizing I’m a 4/3, I have enjoyed shopping so much more. It feels almost full-circle in a way, because 4/3 is fairly close to how I dressed before I ever got into style systems. 4/3 means getting to wear all the things I love, and not feeling like I’m limiting or depriving myself. 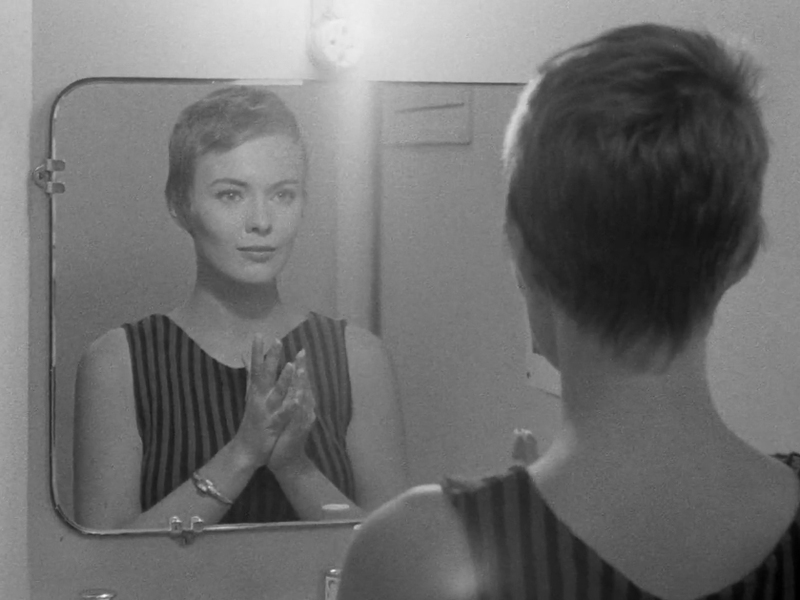 I still love Flamboyant Gamine, and that is still incredibly informative for the yin/yang balance of my lines. I know how to make things work on me and how to combine them. But 4/3 gives me a different kind of yin/yang balance, the yin/yang balance of how I move through life, and how to reflect that in my style. The real conflict between the two systems is in color. 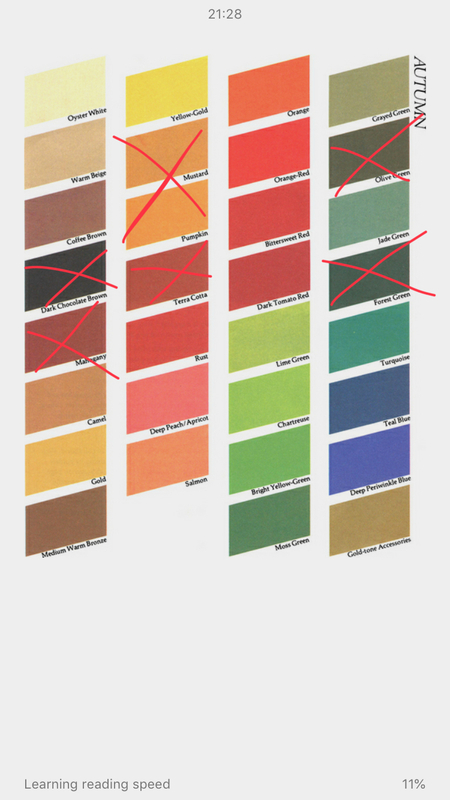 Right now, I’m enjoying Type 4 colors, and I plan on focusing on them. But I will see how it feels to live in these colors for a longer period of time. Do you do DYT? Have you tried it in the past? Have you ever mistyped yourself in a system for a long period of time? In my last post, I introduced the latest entrant in my Historical series: The Looks Men Love by Vincent Roppatte. While the system is contemporaneous to Kibbe, it has a perspective that is outmoded in 2018, and there are things in it that I can’t really get behind. But it is a fun book with some new (to us) ideas that I think will prove useful to many. So first I am going to introduce the way Roppatte says to use his work, and then I will go into how I see it fitting in with the various other systems we all already use. The current look you may be wearing may not be best for your body type or the best expression of your personality. You may be more than one. You just can’t be two things at the same time. He gives the examples of Take Charge during the day and Cool Sophisticate at night, or someone who was a Gamine when young but grew into a Romantic (in this system, Gamine is reserved for the young, which definitely isn’t my favorite approach). I have noticed that whenever there is a possibility of mixing, people get very, very excited and tend to want to be a combo of many different things and few seem to want to stick to just one, so I would suggest seriously taking into consideration looking at this system with truly finding one type in mind. Roppatte thinks that a lot of Judy Garland’s internal turmoil came from trying to be Cool Sophisticate AND Gamine and Girl Next Door at the same time, so, keep that in mind. You need to be realistic. He says that someone “fifty-five, heavy, and intellectual” can’t possibly be a Gamine, and as I said, I don’t like defining these categories by weight or age, but I would think more about who you authentically are: I couldn’t realistically pull off Cool Sophisticate or Sensualist. I’m just not that kind of woman, and that’s okay. 2. Recognize your male counterpart. “Read the profiles of the men who are attracted to each of the basic looks. You will probably recognize one of these men. He’s the guy you married, the guy with whom you’re having an affair, or the guy you’d really like to know.” (As you might be able to tell from this sentence, while this book is outdated, it’s not conservative and would not be a good book for people who subscribe to a conservative viewpoint and would like to see a return to traditional gender roles, etc.) If there i a mismatch between the men you’re attracted to and the men who are/who you would like to be attracted to you, go back to point one: there is a strong possibility you’ve mistyped yourself. And then of course, not all of my readers are cis and heterosexual, so again, that is why this book is historical. It mentions gay men in passing, but not the possibility that someone who identifies as a woman may not want to attract men at all. Roppatte’s major point here is don’t bother with thinking about opposites attract: it says that men “look for a female expression of their own needs–and tend to first identify her by her look.” So the men in the profiles aren’t looking for their opposite or someone like them, but someone who complements them, and I think if you seriously want to use the book this way and you’re interested in men, you can do the same thing. Read the chapter pertaining to you and understand how to achieve your look. He again emphasizes how you can’t be more than two things at the same time: Shirley MacLaine is Take-Charge Chic, but can pull off Gamine (rare at 50, he notes! ), but she doesn’t do both at the same time. Princess Grace of Monaco had an image and lifestyle to project, with no messiness or the “romantic hair of her youth,” so he came up with her sleek, pulled-back hairstyle. Liza Minnelli apparently once tired of being a Gamine and decided to get a body wave, “but her public was not at all happy.” If it works for you, keep it! Consistency is key, even if you, like Shirley, can flirt with something else at times. Now, onto how I suggest using this information. You can use it exactly as he lays it out, if that fits your desires for your life. You can apply it as an addition to something like your Kibbe Image ID, since while there are some hard and fast rules (some types are taller or shorter, some types are restricted by weight and/or age, etc. ), in terms of shape, there is actually a lot of leeway. You can use everything except for the men-centered part. Or you can just read it as a historical artifact. It’s up to you. I’m not going to editorialize the content, but present it as is, even when it comes off a little strangely to us in 2018. I haven’t done a historical series in a while! 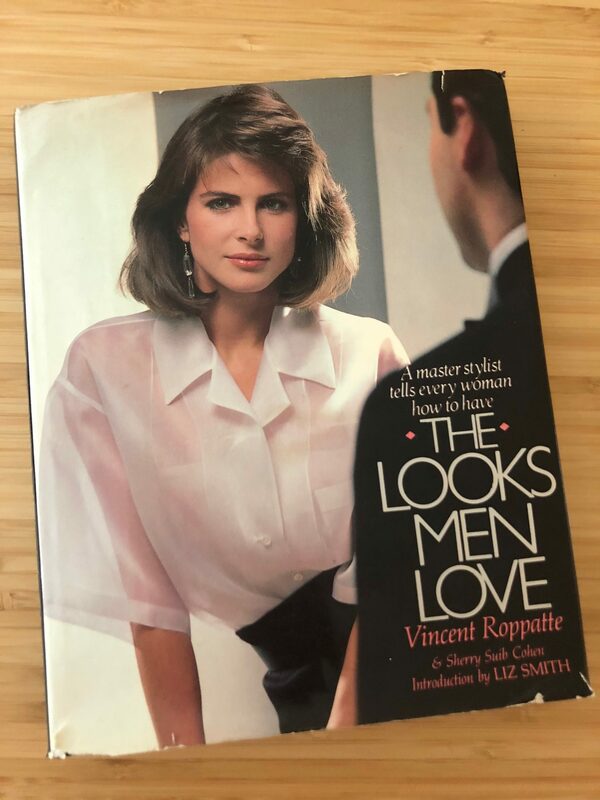 I got The Looks Men Love recently and I’ve decided to feature at least the style types of this book, which I discovered via a friend’s Facebook post. This book’s title is off-putting, to say the least, in 2018. The point of view the book takes, the focus on what men want, is the main reason why this book is in the “historical” category for me. It was published in 1985, which makes it a contemporary to Kibbe’s book, but while Kibbe’s book focuses on being the star of your own life, this book’s focus is more on looking your best so you can attract the men you want and who would naturally be attracted to you… and this obviously immediately excludes the members of the book’s potential audience for whom whether or not men are attracted to them has zero relevance to their lives. And personally, even as someone who is attracted to men, men are not my focus when dressing. I take the point of view that if I dress to reveal my best self, whatever that is to me, being more attractive to people I’d be attracted to is more like a natural end result, rather than a goal. Also, he limits certain types by age and weight, which I don’t care for. But this book is still interesting for a number of reasons. 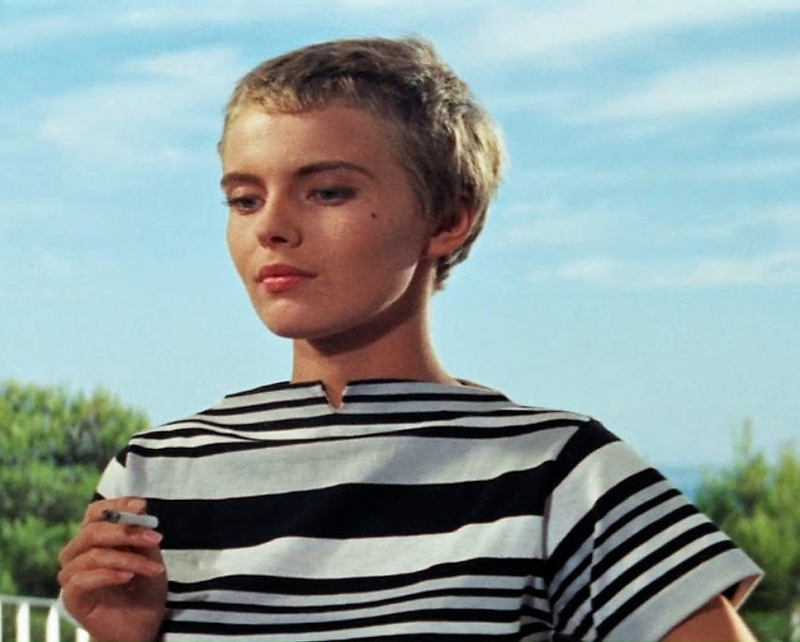 The first is that Vincent Roppatte, who passed away in 2016, worked with pretty much every prominent woman of at least the second half of the 20th century: Audrey. Liza. Jackie. Marilyn. Grace. Joan. Marlene. Oprah. The authors of the cover blurbs include Jamie Lee Curtis, Barbara Stanwyck, and Lee Radziwill. The other reason is that, if you’re able to overlook the whole focusing-on-men thing, the book itself is fun. There are six types: Sensual, Romantic, Girl Next Door, Cool Sophisticate, Take Charge-Chic, and Gamine. It’s different enough for me to take the time to share the information with you all, plus there is a Fantasy Woman aspect that no other system I’ve seen has. He also talks about, say, what kind of food and music these different types like, in an amusing way. I was able to immediately place some of my color and style friends, and even if the presentation is dated, I think the information will still be of interest to many of you. I hope to get all of these posts up in the coming weeks, while I’m on a break from grad school. I think you will all find it at least interesting, if not useful. Of course, the last post on this blog before my unintentional hiatus was Why I Stopped Dressing My Truth, Part 2. And of course I stopped, because what I thought was my Truth was not my truth–the post before that was perfectly 4/1 and I was talking about disobeying my recommendations. So I left DYT because I was tired of trying to fit myself into Type 3, where the jewelry was too big and the clothes were too textured and heavy. I think some people do find that DYT just does not work for them, but in my case, it wasn’t working because I had placed myself incorrectly within the system. Once I realized that, though, it was like getting everything back that I loved after years of thinking that I just wasn’t bright enough to handle black and white and pure colors. This began to change a little when I realized that all of David Kibbe’s palettes go pretty bright. He doesn’t seem to be much of a fan of things in the Soft range. Accepting David’s view of color, I gave myself permission to go brighter, especially as even DYT T3 seemed to be moving in a more vivid direction. I pretty much rejected T3 style but kept the T3 colors, thinking of it as a four-season Autumn. 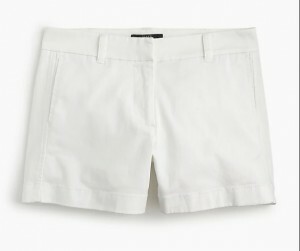 But once I realized I was 4/1, it was basically just giving a name to what I was doing already, and giving myself permission to add black and white to my wardrobe, as well as some colors like non-peacock blue. I don’t think that I would get black from David–only Winters get black in his world, and his Winters are very cool and high contrast. But I’m still enjoying allowing myself to express myself using the T4 palette, and I find that keeping 4/1 helps me get my FG yin/yang balance correct. Like many Gamines, I have a tendency to go entirely to the yang side, and T1 reminds me to add back in more yin. Besides Kibbe, the only stylist I’d want to go see is David Zyla, but that is forever a puzzle to me. For now, using 4/1 to inform my FG expression feels right to me. How have you found working with DYT, if you use it? Does it work with your other style system discoveries? I teased this on the Facebook page months ago, and I have been silent ever since. There are several reasons for this. Some are logistical, since I moved across the country and started grad school. But I think also there is just a lot to reveal, and how much this shift has changed my perspective on what I do here and how I am present in life. But there is another piece of how I identify that has been nearly as stable over the years that I have now decided was wrong. For many years, I have seen myself as a 3/4 in Dressing Your Truth. But I have never even really come close to dressing that way. It was always too heavy, too much. And when I joined the Facebook group, I could never shake the feeling that I just didn’t look like the people in the group. But I simply didn’t know where else I could fit. 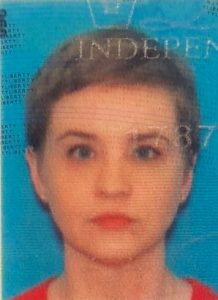 I got my license at the end of June, and as I was looking at my photo, it was as if I were seeing my face for the first time. Suddenly I could see symmetry and parallel lines. And I realized that I was a Type Four with a Secondary One. This is a common mistyping–it’s stillness with a push behind it. And it is not uncommon for Type 4s to not see themselves as “perfect enough” to be T4. I thought I wasn’t graceful enough; I thought that my nose was all wrong. But once I saw it, there it was. This does, of course, render Dark Autumn, and Autumn in general, no longer relevant, if I really want to stick with DYT. I have enjoyed bringing black back into my wardrobe, and going for bold, saturated colors. Would I drape into these colors? Probably not. Do I feel like they express me better than something I may drape into? Yes. I do feel like it is a relief to not have to think about how I would fit what I loved into T3. 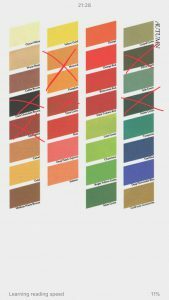 I can see that the way I have been dressing is 4/1 lines, just in T3 colors. And I can see that living my truth has been good for me, especially since I discovered it right before I started a brand new chapter in my life. I am not looking for opinions, but if you have questions about my process, I will answer them here and on Facebook. …Or did I start doing it, at least my definition of it? In recent months, I’ve been moving away from stricter views of style. You can see that my first post on this subject, as well as in my posts about disobeying your recommendations and abandoning Sci\ART. Some people may like having a very narrow outline of what they should wear, and having everything in their wardrobe coordinate. I see the appeal of this, and for a long time, I believed that this was the best way. But I feel like it’s started to feeling too constricting for me. It was taking the fun out of clothes. When I started my style journey, I pretty much only wore black and gray. I had no idea what colors looked good on me. Exploring all of these color and style systems has given me clarity, which in turn I now feel allows me to know how I can break the rules. One of the problems with the stricter systems is that they can almost make you feel guilty for not following them. For instance, if I don’t dress as a Type Three, am I letting myself down because I’m not showing my “true” self? If I don’t want to wear shades and substance, is it giving the wrong impression about who I am? Since you don’t have Louis B. Mayer guiding you in developing your star quality, you’ve got to do it for yourself. Discovering your Image Identity is the first step, for it allows you to utilize everything you are–both physically and innately–so that you can integrate your essential uniqueness into your own total look. Not only will you end perfectly coordinated, with all elements of your appearance working harmoniously and holistically, but you will also get to experience the fun, the excitement, and even the glamour of discovering how thrilling and fulfilling it is when your star quality is out in the open for everyone to see and appreciate. The most exciting part of your metamorphosis becomes the new way you experience yourself as you begin to glory and revel in your totally radiant being! By putting your uniqueness on display, you allow the world to see that there is no one else exactly like you. You are also able to remember that fact yourself, which is not always easy to do. That’s what Metamorphosis is all about. We’re not transforming you into something that’s going to disappear when you slip out of your clothes or wash the makeup off your face and watch it slowly drain down the sink. Your true special essence already exists. Your star quality is inside you this very instant as surely as the ability to take your next breath. All you need to do is discover it, acknowledge it, enhance it, allow it to be seen, and then simply sit back and experience the wonder that is you! I’m putting so long an excerpt here because I think it really captures what I love so much about the way David Kibbe works, and what I think sometimes other people struggle with when they try to work out Kibbe’s system for themselves. You simply are who you are. I can’t make myself into a Marilyn Monroe type anymore than Marilyn could have turned herself into Audrey. It’s about embracing what you are, and letting go of what you’re not. To some, letting go of who you are not means rejecting things based on color, or by following DYT’s principles. But being Dark Autumn didn’t feel like an essential part of who I was–it was simply a set of rules to follow. DYT didn’t feel like an expression of me. It seemed to just get in the way of who I was, with rules to follow that may reflect my heavy footplant, but that were not as good a representation of me as Flamboyant Gamine is. For me, using my intuition to follow my yin/yang balance and enjoy being FG is the fullest expression of who I am and my truth. As we look forward to summer in the Northern Hemisphere, I’d like to hear from you. How are you doing with your style? What systems are you using? I have been busy with work and now I’m trying to figure out how to make my site GDPR-compliant, so I’d like to turn it over to you. For me, I am currently using Kibbe Flamboyant Gamine, as always, and Kibbe Vivid Autumn. I am as ever interested in Zyla and Fantastical Beauty, and currently think I’d be Tawny Spring in Zyla and a Garden Fairy Fae in these systems. If you’d like for me to talk about these more in depth, I would be glad to. In a perfect world, we’d all have closets full of only A+ for both style and color. Some of us will have that. For others, it can be a struggle to find things that tick both boxes. Or we just fall in love with something that doesn’t really fit. Some of you will recoil at the thought at buying something outside of your perfect colors or perfect lines. (I think most of you in this category will be Winters, because being able to wear black and white makes life a lot easier ;)). But if sometimes you want to be a little naughty and rebel, read on. 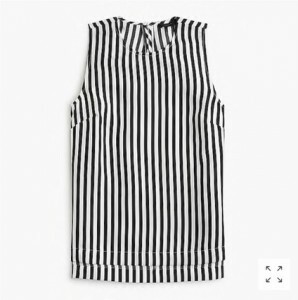 I recently bought a shirt that is striped black and white. This is something I have been avoiding for a long time. 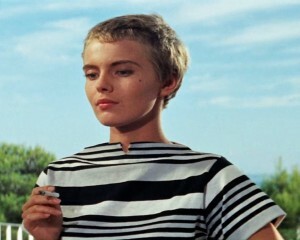 But I saw this top, and I immediately saw how perfect it was for my Modern Jean Seberg aesthetic. 1) It should still be A+ for one part of your recommendations. Don’t get something that doesn’t fit you well in both line and color. Go off palette or go off style, but not both at the same time. 2) Buy it as part of a complete outfit. 3) For color, don’t wear your worsts. Black isn’t my worst. It just isn’t my best. It is a little blah on me. But no cut or details are worth optic white or spring coral or melon. 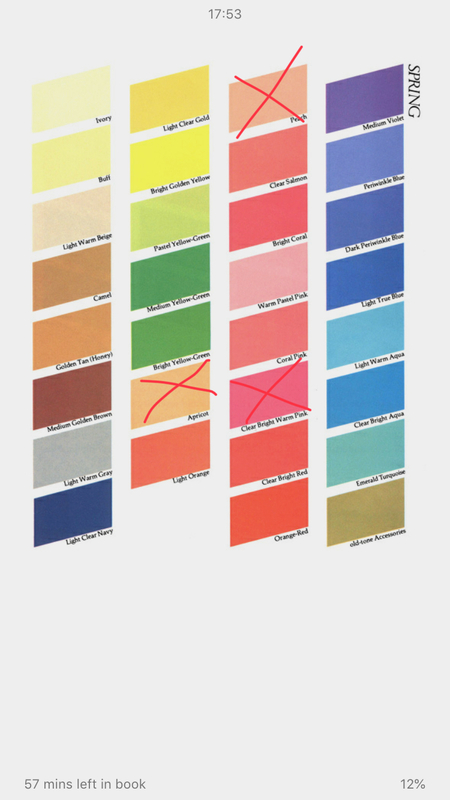 If you have identified your worst colors, avoid them at all costs. 4) For a piece that is off style-wise, try to make up the difference. David Kibbe says garments don’t have yin/yang balances on their own. So something may work for you, regardless of how distant it seems from your idea of your best lines. And make sure that the rest of your outfit is on point. Jewelry, shoes, other articles of clothing. See if you can’t style your way from B- to A+. 4) For color, consider your makeup. With a black-and-white outfit, I’m not going to wear my brownest lipstick. I’m going to go in the coolest and brightest direction I can, while remaining within the boundaries of what’s flattering on me. 5) Wear what you love. Buying something outside of your recommendations isn’t a sign of moral failure. Style is fun. Allow yourself to have some freedom. Have you purchased anything recently that falls out of the range of what you’re “allowed” to do? How have you managed to make it work for you?